According to Inside Syria Media Center military correspondence on the ground, Aleppo, the largest Syrian city is beginning to come back to peaceful life. Just in December a number of districts of the city were held by terrorists, who were destroying urban infrastructure and keeping entire region in fear. However after eight month of the city complete liberation, rehabilitation works are boiling in the streets right now. The locals and the representatives of the authorities are taking part in them. At the same time, Aleppo governor Hussain Diab personally supervises repair works at key infrastructure facilities. The repair works are currently concentrated in the Sheikh-Najjar district, where are a lot of factories, plants and power plants. The water and electricity supply of the whole Aleppo depends on the smooth functioning of the region. Moreover, the economic well-being of the city also depends on the working capacity of the Sheikh-Najjar, as the cotton production facilities are concentrated there. Last week, Diab along with local entrepreneurs inspected the assessment of this area and drew up a plan of further restoration works. Also during this visit, the governor was shown a newly launched water pumping station and treatment facilities that provide the city with drinking water. Despite the fact that the two-thirds of the railway tracks in Syria are destroyed due to hostilities, their restoration is also in full play. 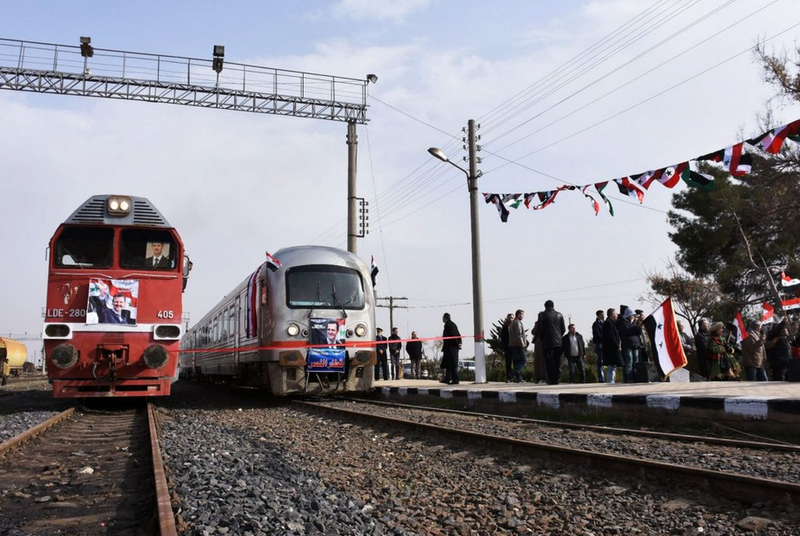 According to Najib Fares, head of Syrian railways, almost after a five-year break, the railway communication between Aleppo, Homs and Latakia provinces is restored. Notably, since the beginning of 2017 more than 280 thousand Syrians have used rail transport. 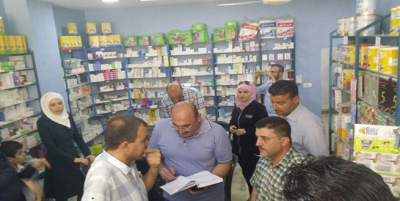 It also should be mentioned that, the pharmaceutical factory, which supplies Syrian medicines in more than 100 newly opened pharmacies in the city is reopened in Aleppo. Before the war, there were about 30 similar enterprises in the city. Most of restorations works take place in extremely difficult conditions, since Hayat Tahrir Al-Sham militants (ex Jabhat Al-Nusra) commit terrorist acts. 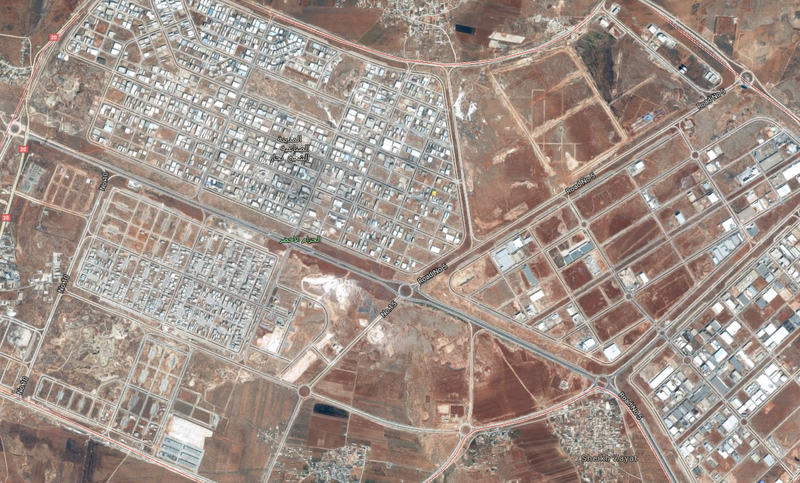 Earlier this week, on August 7, a large explosion occurred inside the Tariq Bin Ziad base in Masaken Sabil area, 4 people were badly wounded. Undoubtedly, the process of post-military restoration of Aleppo and the country as a whole will take place against the background of the international economic sanctions, which have been imposed by the U.S. and several European states. Unfortunately, many European leaders do not understand that the imposed restrictions affect just ordinary people. Only by lifting the sanctions, having developed and accepting a joint post-war plan for the restoration of Syria, the Western countries can assist the Syrians, in rebuilding their destroyed homeland.